Oh, hi! You came to find me, but today I’m over at the Word Menagerie book blog where the lovely E.J. Hanagan has written a lovely review of Portrait of Woman in Ink: A Tattoo Storybook for all their readers. Go check it out HERE, and support your book bloggers; they support you! Howdy y’all! You came to find me here but today I’m over on the Booknerderie blog where the fine blogmistress Annette has just put in her two cents (and 4 stars) on the book. Come check it out for yourself HERE. Oh, hi! You came by to visit me but I’m over on All That’s Written where the lovely author and book blogger Lucy Pireel has done a great review of an advance copy of Portrait of Woman in Ink. Don’t worry, I’ll come back soon. Check it out HERE, and check out Lucy’s works while you’re at it! 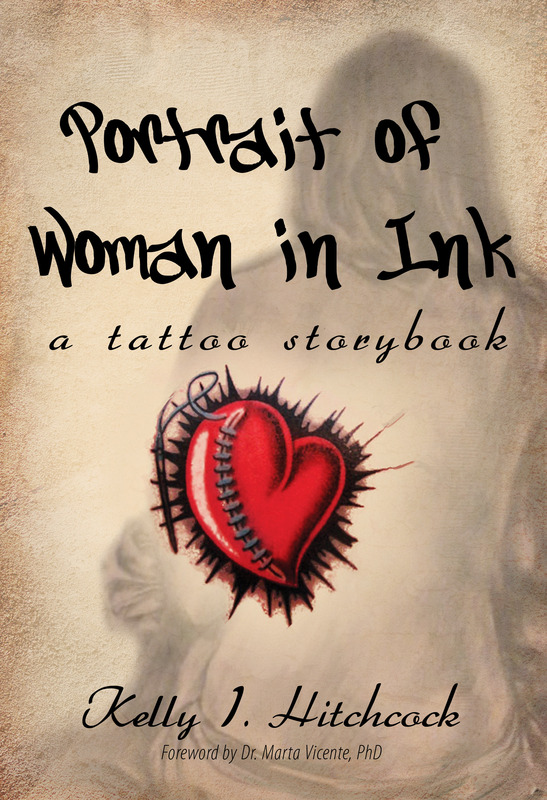 My newest book Portrait of Woman in Ink: A Tattoo Storybook got some review love from fellow author and book blogger Andrea Blackstone over at The Reader’s and Author’s Nook. While you’re over there checking out the wonderful review, take a look at all the great content they have over there and find the next book to add to your TBR list! Last week, I did another one of those silly book giveaways with the KDP Select program to prepare for the impending release of Portrait of Woman in Ink: A Tattoo Storybook. In total, I gave away 1048 copies of The Redheaded Stepchild around the globe. -As you may have drawn from the sharp line on the graph (picture me with one of those presentation wands pointing to the chart HERE), giveaways are most successful on the first day. Why? Because people don’t like spending money, so they will grab up all the free books they can get their hands on, which in the Kindle universe, changes daily. – In the free book rankings, The Redheaded Stepchild topped out at #14 in the Coming of Age category, and #18 in the Literary category. – To my surprise, Friday was a good day to give away a book. Saturday was surprising, too. I figured people would be increasingly ignoring their computers the first 3 days of the giveaway (Friday, Saturday, Sunday) and I would see a spike on Monday, but if you’ll refer to the chart HERE (picture me with magic wand again), my hypothesis proved to be wildly incorrect. – I got a predictable 1-star review out of the giveaway. Am I surprised? Not really. Literary fiction’s not for everyone. The person who negatively reviewed my book would probably do the same to Jane Austen or Charles Dickens for lack of action. Not that I would dare compare myself to Austen or Dickens. I’m far younger and better looking. Now, I just need to get ready for my next big promotional craziness – the release of PORTRAIT OF WOMAN IN INK! The blogger behind the B’Tween Prose young adult book review blog gave The Redheaded Stepchild a thoughtful review this week while I was working in Miami and trying to find any spare minute to hit the beach. 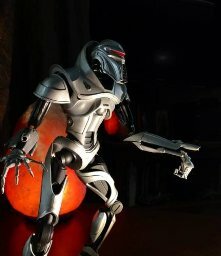 Be sure to pop over and check out the review, and leave a comment or two on the blog. Book bloggers are the lifeblood of our community! I knew the day would come when I got my first bad review for The Redheaded Stepchild. That day happened to come today, which was also my first day back in the office after vacation, and the day that Peyton Manning signed with the Denver Broncos. Blech! Because I knew this day would come, I’ve done some reading up on how best to deal with negative reviews and how to cope with them. We writers are a sensitive bunch, and it’s hard to not take these kinds of things personally. Luckily for me, my bad review was pretty mild as far as bad reviews go. The guy (or girl, but I’m pretty convinced it was a dude) who wrote the review could have ripped on the writing, on me personally, or on the character’s personal lives, but he/she didn’t. Really, the book just wasn’t the person’s cup of tea. To be honest, it was actually much less soul-sucking than the “Dear Author, After carefully reviewing your work we find it does not meet our needs at this time. Good luck.” letters I could line a litter box (if I had a cat) with several times over. I know my book’s not going to be for everybody. I’m in good company – all the top selling authors have a few God-awful reviews under their belts. So what am I going to do about it? Not a damn thing. Except listen to Radiohead, eat a whole pint of Blue Bell Orange Dream, look at some pictures of cute baby animals, and move on. And hey, my bad review sold me two books today. Could be worse right? They say it’s even good to have a few not-so-great reviews. People like balance, and a book with all fantastic reviews is a little misleading. Makes it look like all the author’s friends ganged up and told everyone how much awesome sauce was smeared over the book, not that they’re biased or anything. So, now I can say I don’t know all my Amazon reviewers and they’re not all what you’d consider “mom reviews”. Though my mom didn’t like the book, so that doesn’t apply in my case. I was only 4 pages into The Redheaded Stepchild by Kelly Hitchcock when I felt my blood pressure ease up and the knot in my stomach dissipate from having read and reviewed a particularly unreadable book of short stories that should have been written in invisible ink. Thank you Kelly, for reminding me that yes, there are amazing writers left in the world. When I was 70% through it I’d found 4 typos. Ruined the whole thing for me. Nooooo, I’m kidding. There were 4, but this is the kind of writing, that distracts you from the typos instead of the other way around. Hitchcock’s power of observation is phenomenal and she has mastered the art of articulating the minute details of human behavior that most of us perceive only subliminally if at all. I don’t think I’ve published enough reviews to expose myself as the harsh critic that I am, so you probably don’t realize the magnitude of the compliment I’m bestowing on this writer. The Redheaded Stepchild is a beautifully written coming of age story for readers of any age. The characters are multifaceted and well-drawn, the voice refreshingly unique, and the story poignant, hilarious, and horrifying all at once. And, as if the author doesn’t already attack all of our senses with her uncanny eye for detail, she adds a disjointed timeline as she jumps back and forth to the pivotal events that define her protagonist. We are fascinated by this because she does it deftly and because she innately understands that we are all the sum of the best and worst events of our lives, events that have no need to be told in chronological order. Bravo! Kelly Hitchcock is definitely an author to follow for years to come. I wish I could give this novel 10 stars. Redundantly, I affirm that I am a fan. I’m just… wow. If I only ever get this one amazingly glowing review for The Redheaded Stepchild, I won’t care, because my work truly touched someone I didn’t know from anyone. Not that I didn’t love my handwritten letter on pansy bordered stationery, but coming from a stranger it’s a different feeling. I really hope I can continue to inspire people with my literary work. Also, I fully intend to hunt down those 4 typos.